"Champions Can Come From Anywhere." In this drama, a white track coach takes over the helm of a struggling track team at a predominantly Latino high school. When the coach discovers that the team's athletes have real potential, he sets about teaching them how to believe in themselves. 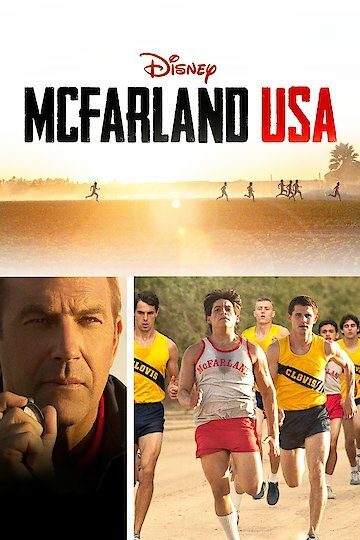 McFarland USA is currently available to watch and stream, buy on demand at Amazon, Vudu, Google Play, iTunes, YouTube VOD online.